The Hopper BackFlip 24 fuses the durability of the Hopper Flip with a new, convenient-to-carry design. 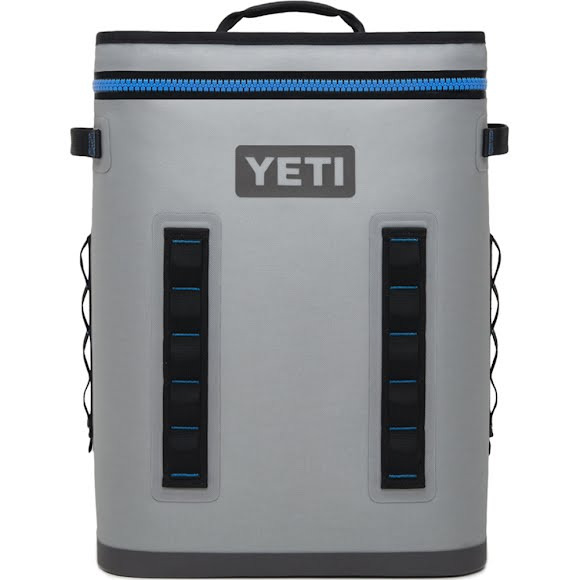 It's our first cooler engineered to carry as a backpack, using the best tech of both worlds. The Hopper BackFlip 24 fuses the durability of the Hopper Flip with a new, convenient-to-carry design. It&apos;s our first cooler engineered to carry as a backpack, using the best tech of both worlds. Built taller and wider than its Hopper Flip counterparts, Hopper BackFlip is designed to efficiently distribute the weight of your goods, while the ergonomic shoulder straps make the journey more comfortable. Even more, a removable chest strap and waist belt are included for added stability and security. And like the rest of the Hopper family, it promises superior cold-holding, a 100% leakproof zipper, and a tough DryHide™ Shell. So, go ahead and trek to your favorite faraway fishing destination, because this backpack cooler won&apos;t slow you down. Measurements 13.75" x 19.1" x 8.5", Inside: 12.6" x 15" x 6.5"